Come on out, fix your bike, get some grease on your hands, and ride off with a better bike and more know-how than you had when you arrived! 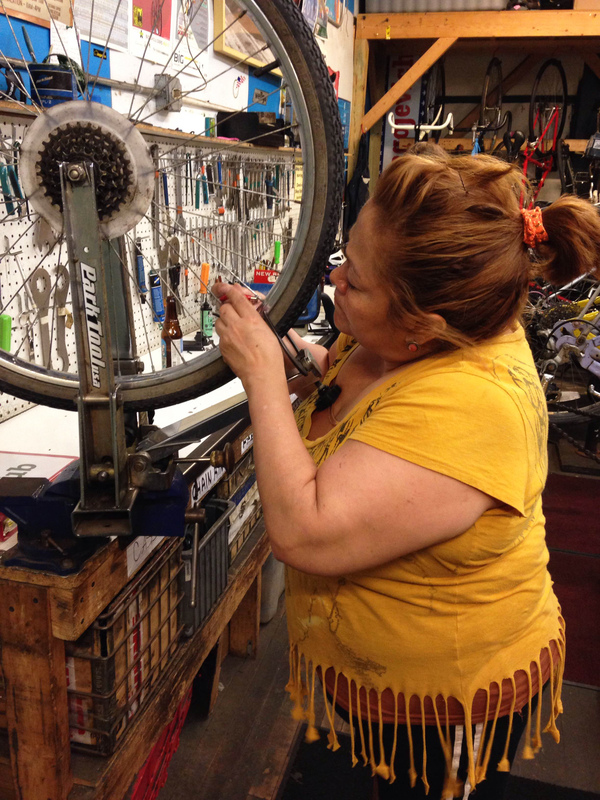 Work on your bike in a relaxed, social atmosphere. Share tips and an instructor will be there to help. Instructor’s assist you will be limited by time and the total number of participants. You should be familiar with the repairs you plan to work on. The shop gets busy! Please be mindful of those waiting for a stand and do your repairs in a timely fashion. You must take your bicycle with you at the end of the workshop whatever its condition, so please keep in mind the total time required for your project before you begin. Tools and bike stands are provided. We have a lot of used parts available or you may purchase new parts and accessories from our sales shop. No sign up needed, just show up on Tuesdays 7-10pm or Saturdays 12-5pm. Please check in with shop staff before starting work.